Windy City Construction & Design strives to make every remodeling project a thorough, detail-oriented process. 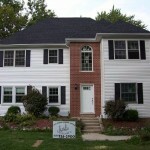 For a description of how we handle our home addition projects click here! Basements have been created to provide utility space for items such as water heater and furnace. However, since finishing the basement is the easiest and cost effective way to add space to one’s home, many homeowners decide to transform their utilitarian basements into refined areas that accommodate needs of modern lifestyle. In fact, the term “basement” to describe that part of the building that is either completely or partially below the ground floor might no longer be adequate. Based on our professional experience, we agree that term “lower level” seems more relevant to describe areas containing wet bars, fitness rooms, theater rooms, office spaces, craft rooms, play rooms, or recreation rooms. The key to achieving this perfect lower level space is to work with contractor who can provide design services as well as seamless execution of the project. Our team of remodeling experts takes a professional approach to home improvement. Throughout the construction process, we listen and seek to understand the unique home improvement challenges faced by each of our clients. Ultimately, we strive to accomplish the right balance between unique design solutions and your pragmatic needs.